The companies that … design and implement digital platforms … will be the most likely to quickly adjust and grow as the industry continues to become more digital. While a little vague, that seemed to make sense. After all, the Internet, on which business is increasingly conducted, is a digital medium. And the companies that don’t adapt to all channels of digital accessibility, including mobile, inevitably will be left behind. Most of the industry has adopted digital agendas. Okay. So, what’s left to do? Much. One of the most constructive things we might do is ignore all the commotion about digital transformation. While organizations might need to transform (more likely they need to adapt and evolve), digital transformation has become all but indecipherable because it can’t be defined consistently. And it can’t be defined consistently because it’s too broad and, so, too vague. More important, digital transformation is almost always interpreted to be about technology. It’s not. Here’s why: Unless we manage to experience some kind of once-in-a-millennium event sometime soon, there won’t be any technological transformations. But what we do have is a data transformation. More specifically, with the digitalization of data — and with the technological progress we’re making in storing, extracting, analyzing, and applying data — that’s a transformation worth heeding and on which we should be capitalizing. And it feels like progress. From risk analysis to claims experience, from risk selection to loss mitigation, from consumer trends to policyholder profiles and more, everything we need to affect real transformation is in the data we collect and process every day. Yes. We’ll require technology to aggregate that data, to extract and report what we need from it. But that won’t constitute a technological transformation any more than it’ll constitutes a digital one. 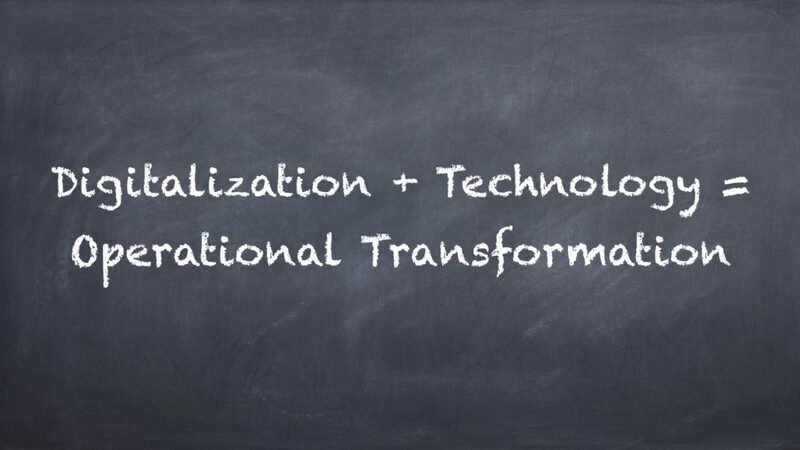 It might, however, constitute an operational transformation. Maybe that’s the perspective by which we’ll accomplish the most anyway. https://finys.com/wp-content/uploads/Scooch.001.jpeg 1080 1920 Mark O'Brien https://finys.com/wp-content/uploads/finys-logo-color.png Mark O'Brien2018-10-08 07:00:512018-09-21 15:01:03Digital Transformation? Really?